Just under three years ago this blog began with its first post. As stated then, the aim of the publication would be to make architectural discussion more accessible to the general public whilst also providing an insight into the design process and construction industry in Victoria. The phrase ‘Architecture is for Everyone’ would be the overarching philosophy that would frame the debate. It was hoped that this writing could be an open gateway for the general public to engage with architectural discussions. This blog is written with a backdrop of the beautiful city of Melbourne, a city which is rapidly establishing itself as a hub for critical design thinking. One needs only to look at the new education facilities such as the Melbourne School of Design, Swanston Academic Building or Design Hub to see in which direction the city is going. Over the last three years Melbourne has experienced some amazing developments. The debate over Flinders Street Station Competition has been one of the more popular areas of discussion. One of the most significant contributions to this topic was a post reporting on the ‘Long List’ exhibition which for one night only displayed the ideas of competition entries not taken into the second stage. This post appears to have been the only substantial account of this somewhat historic event. Another Melbourne controversy covered extensively over the last three years has been the rise and fall of the East West Link Toll road. This project had the potential to severely damage vast areas of Melbourne’s environment and hinder future development. Whilst the wider media coverage of these developments was huge, there was also a need for more in depth coverage from an architecture and design perspective. This was particularly the case for those immediately impacted by the project. In depth analysis of the proposed design, discussion of the flawed process, investigation of the secret development plans and presentation of alternative designs was all part of enriching the debate and engaging with the wider community. One of the most amazing parts of producing this publication has been discussing architectural issues with so many brilliant people. Architects, politicians, journalists, bureaucrats and media personalities have all contributed to the discussion. To celebrate this the 100th edition of The Red+Black Architect, some of these brilliant people have taken the time to answer a question related to the development of Melbourne and the importance of good architecture. Red + Black Architect – What is your favourite building or space in Melbourne? And Why? It’s hard to decide on one favourite building or space – there are so many in Melbourne… The Royal Exhibition Building, Flinders Street Station and St Paul’s are obvious choices.. Fed Square continues to be hugely popular as a meeting place, but my favourite Melbourne building is the National Gallery in St Kilda Road designed by Sir Roy Grounds, as well as the Arts Centre theatre and concert hall. I find the art gallery in particular induces feelings of calm, reflection and creativity; and I love the famous stained glass ceiling. It’s always worth a visit and I am never disappointed. The Treasury Gardens in Spring Street, outside my old office. The gardens are a restful place for clear thinking and contentment. There are also many other great open spaces in Melbourne and Victoria as well. My favourite place in Melbourne is both a place and a moment in time. Federation Square February 13th, 2008. Standing with 10,000 Melbourneites, black and white, watching the big screen as the Then Prime Minister Kevin Rudd apologised to the Stolen Generations. The feeling of connection and togetherness, standing shoulder to shoulder with 1000s of others who had longed for this moment – the opportunity to say we are sorry and this should not have happened. A quintessential Melbourne moment contained within a quintessential Melbourne space. Heide MOMA II (by McGlashan & Everist) is simply magical and one of Melbourne’s hidden gems. Previously a home for the Museum founders, it is now a gallery. It demonstrates beautifully how art, architecture and landscape are intertwined. I cannot do justice to describing it; you have to go there! But it reaffirms my belief that great architecture doesn’t age – it is robust and continues to enrich lives for decades. Heide III by O’Connor & Houle is a fitting addition to this building and a testament to the thriving architectural scene in Melbourne. I have so many favourite spaces in Melbourne, but up there would have to be the Meat Market on Blackwood Street, North Melbourne. As a performing arts space, it’s got to be one of the most unusual buildings around – which is one of the reasons why so many emerging and contemporary artists love it. Its long history, which is central to the story of Melbourne’s growth as a city and as a community, continues to evolve in ever more interesting ways, without one ever losing the sense of this building’s remarkable working past. Red + Black Architect – Why is good architecture so important? Utilitas (function? commodity? utility? ), firmitas (solidity? materiality? ), and venustas (beauty? delight?). Design’s power to make ordinary objects desirable can confuse its (more? equally?) important capacity to make things and places safe, understandable, durable, functional, affordable and energy efficient. The true value of (good) architecture lies in its capacity to integrate a solution to the mundane problems of occupation, with the capacity to change our perception of place, and the very best architecture integrates use with space, material and light in such a way that our senses soar. Bad architecture – or no architecture – costs so much. Good Architecture stimulates all the senses of touch, taste, smell, sight and sound. Good Architecture lasts longer, looks better, smells better, is better for the public and uses less energy. Good Architecture gets better as it gets older. Better designed cities, buildings and public spaces make life more productive, satisfying and enjoyable whilst fostering a sense of community. Architecture is central to this, it is a glue to bring together people, spaces and stories. Good architecture should be promoted, debated, tested and understood to become truly good, in the minds of all who use, see and experience it. 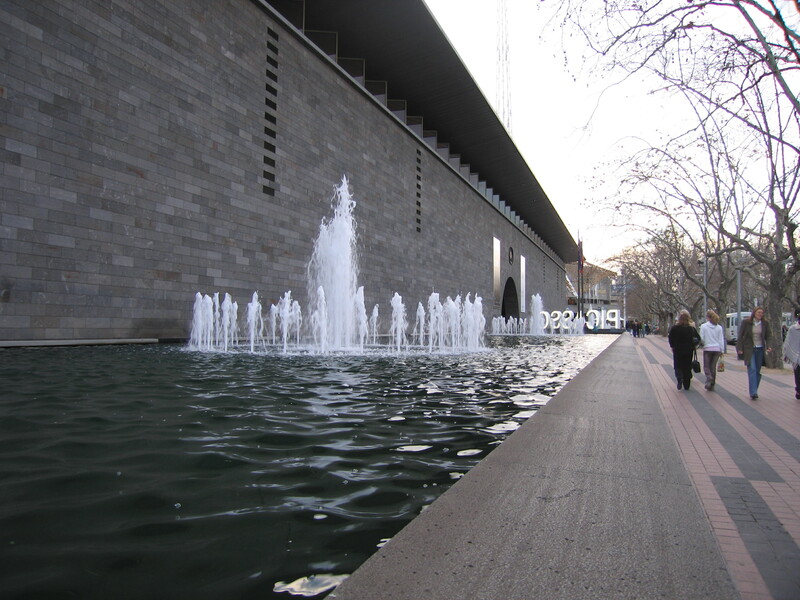 I often reflect on the power of good architecture to change behaviour. Historically, churches, town halls and court houses were symbols of civic power. The Sydney Opera House was the first public building to challenge the cultural status quo of an entire city – daring the city to re-evaluate its role on the world stage. The design of the Sydney Opera House was the equivalent of the moon landing; without it the boundaries of technology in design and construction would not have been pushed so hard and so fast. With the Sydney Opera House, innovative architecture took on a new role as the visual identity of a city. Today the Sydney Opera House still creates awe, raises aspirations and changes behaviour. Where else would you stage the Festival of Dangerous Ideas? Red + Black Architect – How would you like to see the architecture profession change? The architecture profession has been in a sustained crisis for as long as I can remember. I’d like to see us respond to this by diversifying our contribution to society into new territory. This will mean accessing segments of the building industry currently closed to us (like volume built housing), as well as generalising our skills beyond it. Our education and training bestow upon us a unique and valuable worldview. We need to put this to use wherever there is need for complex thinking and sophisticated creativity. Politics, strategic planning, finance, the media and entrepreneurial start-ups would be a great start. The reality is that the profession is already changing. Globalisation and the ever increasing speed of communication have opened up new contexts for architects to practice in. New technologies and the outsourcing of architectural services are changing how architects go about their business. This change is double-edged – it opens up possibilities for architects and broadens the audience for architecture but at the same time it has the potential to decrease architectural agency and relegate architects to the position of spatial image makers if we don’t pay attention. If we want the profession to change for the better we need to redefine the practice of architecture for ourselves rather than let external pressures shape architecture. Within this context, I would like to see the practice of architecture expand to encompass greater diversity and to make a shift from object-centric preoccupations to incorporate more strategic ways of thinking about the city and the people who inhabit it. More than anything I’d like the profession to own its own data. Why? Succeeding in advocacy, engagement and change often means having numbers to hand to either give shape to a problem (look at the movement on gender equity that comes from being confronted by the facts), or to sketch out a model of the opportunities on offer. This might mean collecting the data to validate those early promises on how a project will increase workplace productivity, or to put some quantities around the supply chain implications of decisions on materials or assemblies. Without its own cache of data, architecture risks being viewed as unverifiable overspruik. Red + Black Architect – How would you like to see Melbourne evolve over the next 20 years? Two planners from NSW I had a meeting with this week remarked how, compared to Melbourne, Sydney’s CBD had too many wind tunnels and dark corridors where you felt over-powered by skyscrapers. Over the next 20 years, I hope Melbourne’s CBD can accommodate high-rise residential development without making the central city an unpleasant place to be. More widely, it would be great if affordable, quality housing was created in the middle-ring suburbs – the lack of it drives some of the city’s more serious planning problems. And major transport projects will hopefully henceforth be built based on facts, not propaganda or a vibe; both the East West Link and the Regional Rail Link were supported without a transparent and honest exploration of the city’s needs. What if Architects fees were tax deductible? What if the polite but inevitable cocktail party conversation regarding real estate and tax breaks merged into contributing higher quality housing stock for wins at tax time? After all, financial planner fees can be taken from a client’s superannuation fund because the perception is their service contributes to overall wealth. For most, the Australian fiscal dream revolves around money made from renovation after renovation but so few use an architect. What is it about architecture that people have a problem with? I wager a fear of cost blowouts coupled with seemly exorbitant fees. Making our service seem more attractive and accessible starts to address at least part of this issue. Plain and simple: more urban growth, more walkable, less suburban growth and less auto-centric. We can now safely say the centre of Melbourne fits this bill however the challenge over the next 20 years will to replicate this success to areas further afield, and in an appropriate form. Smaller scale projects like those in the Anstey precinct of Brunswick are the type of development I’d like to see all over Melbourne – medium to high density, 5-7 levels high, right next to existing public transport infrastructure. And speaking of Anstey, one thing to keep an eye on is how architects will have an impact on the development industry. The Nightingale project might just spawn a whole new direction for the way urban development is undertaken in this city. To retain Melbourne’s cherished live-ability, our transition to a medium density future needs to be supported by sustained and deliberate investment in the green and blue infrastructure of our city. We must transform the way we think about, design and manage our public realm, and protect and enhance the natural systems which sustain us, to meet the demands of more intensive use, increased consumption and pollution and to support our quality of life. The streets, boulevards, parks, and public places, and our river corridors and natural landscapes are the lungs and connectors of our city, essential to our well-being and health, and central to the character and identity of Melbourne and who we are as citizens. When writing post 1 I had no idea where this would lead. To all of the fantastic people who have helped by contributing to this post or any of the other 99 I am extremely grateful. Special thanks in particular to Peter Hitchener as one of the earliest supporters of this blog. To have someone with so much experience in journalism connect with this writing has been amazing. Further special thanks must got to Sonia Sarangi. Sonia is a regular contributor to the blog and also my co collaborator on so many architectural endevours including Atelier Red + Black. To Olivia, without you none of this would have been possible. Finally many thanks must go to the readers. Everyone needs to engage with our built environment issues to ensure it is the best it can possibly be. This entry was posted in all posts, construction industry, East West Link, Flinders Street Station Design Competition, Free architecture, Government Policy, Interviews, News, Uncategorized, Urban Design and tagged Alastair Taylor, Alison Cleary, Australian Institute of Architects, Clay Lucas, CR Rohan Leppert, Emma Appleton, Federation Square, Heide MOMA II, Jeff kennett, Jill Garner, Kim Irons, Leone Lorrimer, Monique Woodward, National Gallery of Victoria, Office of the Victorian Government Architect, Peter Hitchener, Peter Malatt, Sonia Sarangi, Stuart Harrison, Tania Davidge, The Meat Market, Timothy Horton, Warrick Mihaly. Bookmark the permalink. Here’s one not just for Melbourne but also Hobart, Sydney, Perth, Darwin, Adelaide and Brisbane…. The middle tier of government in Australia has lost much of its ability to direct outcomes in education and health (although these are state responsibilities) to the federal government who control the tax take. The States however, retain one big thing that is theirs alone- control over land and planning. In an ideal Australia, the State governments would realise that instead of viewing land development as a means to generate stamp duty and access political funding, they could take the initiative and focus on urban improvement for all. Imagine quality of life, environmental benefits, targeted infrastructure, affordable housing….these are all within the ambit of our state governments.